Our tuk tuk driver recommends us to this restaurant during our Angkor Wat day trip. After waking up extra early and enjoy the magical moment of sunrise at Angkor Wat, all of us are starving. Their menu is very simple and has a few selection of local food. The taste of their food is quite similar to our Malaysian food. 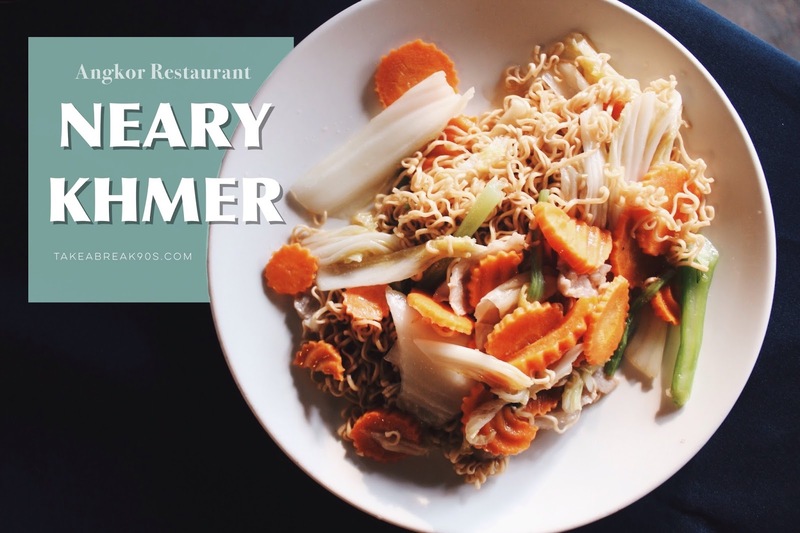 This is a simple yet fulfilling meal that motivates us to continue our journey. This is one of the restaurants I like that most and can’t forget about it. They are selling authentic local food that taste really good. The interior design is very pretty and clean. We pick our table beside lotus pond and the view is stunning. 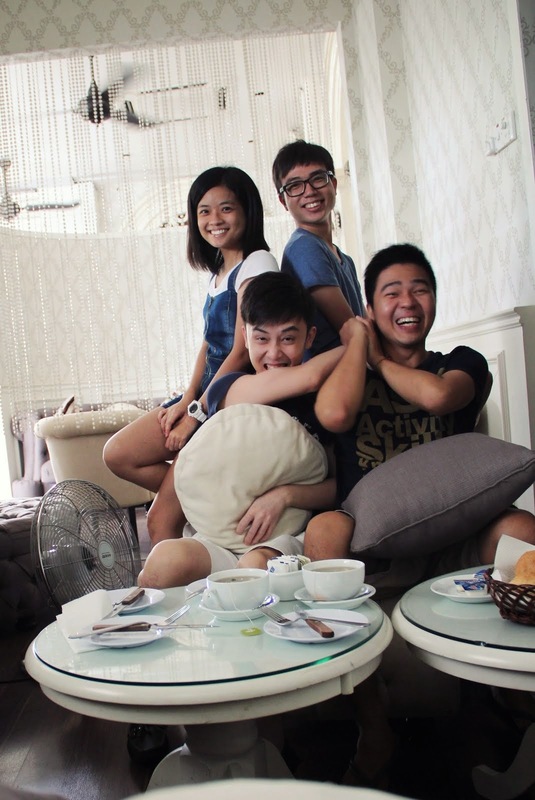 Still remember that all of us are very tired after exploring Angkor Wat and what we need that time is a good lunch and ice cold drinks. Malis Restaurant didn’t disappoint us where they serve really tasty food and we really enjoy our lunch there. 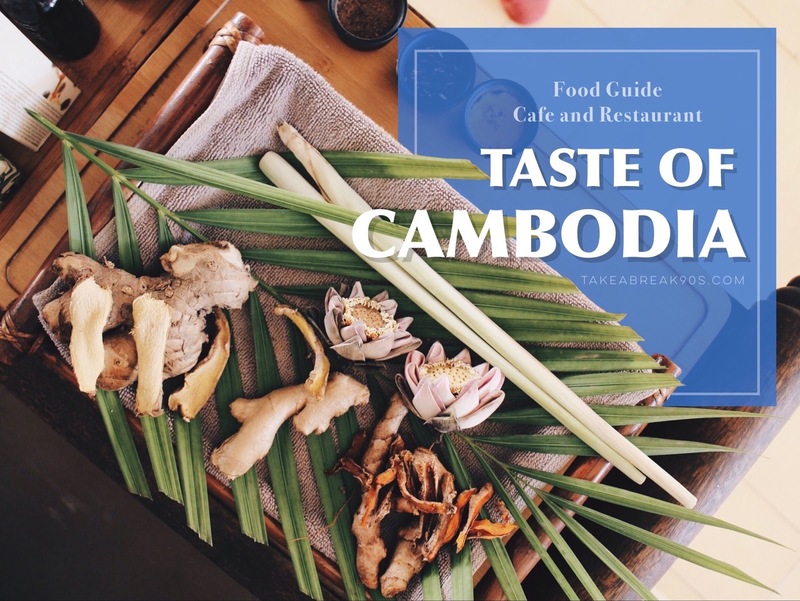 This is the restaurant that we highly recommended you to pay a visit if you have a chance to visit Siem Reap, Cambodia. It is not difficult to find a hot pot plus BBQ restaurant at Cambodia. We had our dinner at Easy Speaking Cambodia BBQ which located at the famous pub street. The main attraction is this hot pot and BBQ is the selection of meat that they served. Other than those normal meats that we eat daily, they also serve crocodile meat, ostrich meat, frog, kangaroo meat, snake meat and so on. You can pick the meat that you prefer and they are more that welcome to help you change it. We had pick crocodile meat and surprisingly the meat is quite tasty and is softer than chicken. It’s worth a try for those who like some adventure. This is one of the famous pizza restaurants at Pub Street where you can easily notice them by the amount of customer in their shop. They are famous with their freshly baked pizza. They also have happy hour during dinner time where their beer is just USD 0.50 a glass. Cambodia’s beer taste lighter and quite smooth to drink. Together with pizza is a perfect match. You can sit at there and enjoy watching people from all over the country here. This is one of the restaurant that we had make some research and decide to pay a visit when we are at Cambodia. 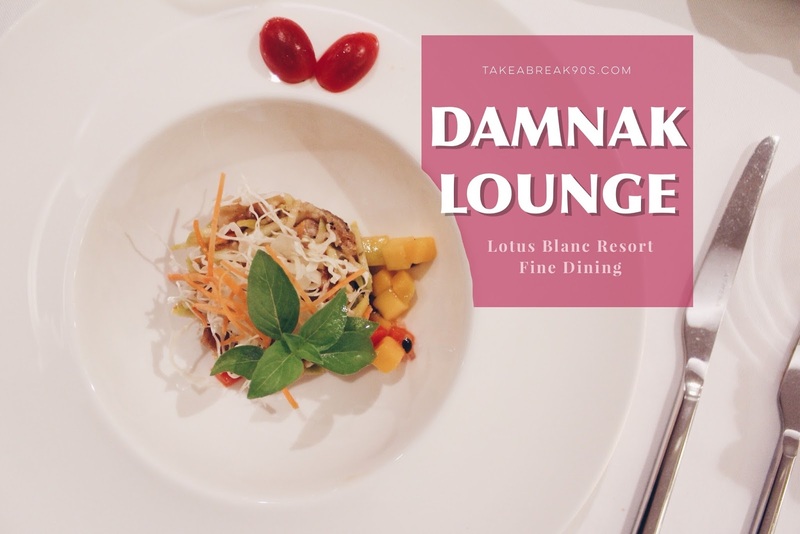 Damnak Lounge is located in Lotus Blanc Resort. The environment is very relaxing and peaceful. Their waiter is very good in explaining all the dishes in the menu and clearing our doubt. For your information, some of you might not like some of the ingredient inside or dishes. But no worry, you can ask your waiter to change it for you. This is the first dinner that we had after we arrive at Cambodia. We really enjoy our dinner here. We would love to hear from you. Drop us an email or talk to us at Social Media. See you! Takeabreak90s.blogspot.com. Simple theme. Powered by Blogger.